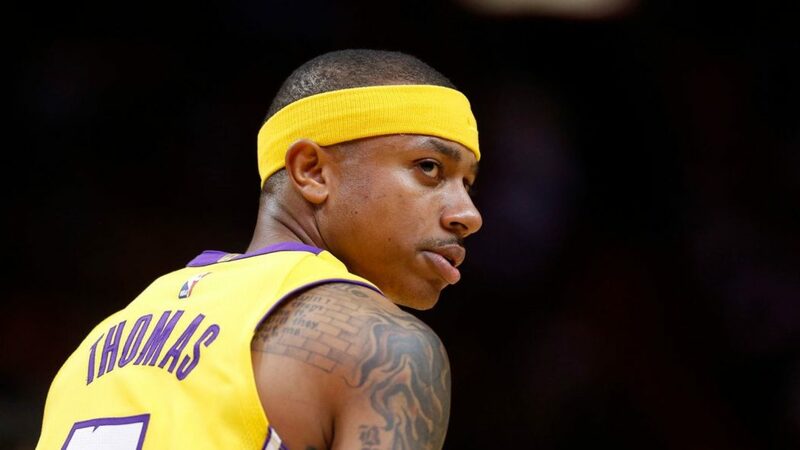 Isaiah Thomas is not here for anyone’s anti-WNBA mess. Prior to the start of this year’s Finals, he wrote an article for The Players’ Tribune that served as an ode to basketball in the state of Washington as well as to show his support for the players in their push for better salaries. He wrote how he took his two sons to last year’s WNBA All-Star Game, held at KeyArena, and how they were amazed with how electric an atmosphere it was. Thomas later addressed how people have mentioned since the departure of the Sonics to Oklahoma City, that people have lamented about the supposed absence of professional basketball from Seattle. But I can’t help but hear something else too: They’re forgetting about the Storm. He referred to the Storm as Seattle basketball royalty and was having none of this notion that women’s basketball is not real basketball. Further down in his Players’ Tribune piece, he got right to the point. Hint hint…Gilbert Arenas. Hint hint…Nick Young. Thomas wrote that he has been pleased with how many signature NBA figures have made their presences known at WNBA events – including Jamal Crawford or Nate Robinson at Storm games. He also tackled the issue of getting the W more exposure and believes a market can be created for its women. And on the issue of salaries, Thomas entirely has the back of the players. 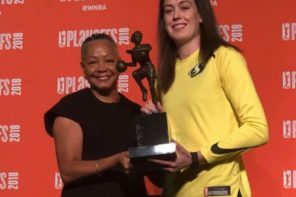 We’ve also gotta make more noise about WNBA salaries. Way more noise. 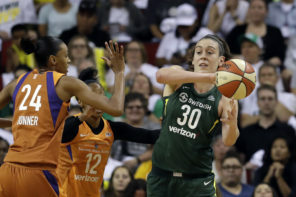 WNBA players should be paid a lot more than they’re getting right now. That’s obvious. They’re profeesional athletes and role models and the best in the world at what they do – they should be paid like it. Better salaries are there if we want them to be. So let’s speak up about that.